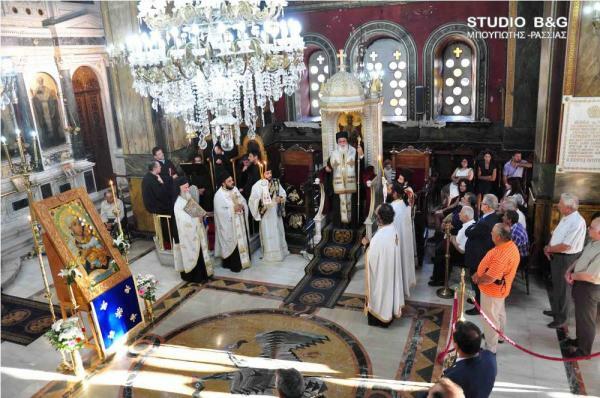 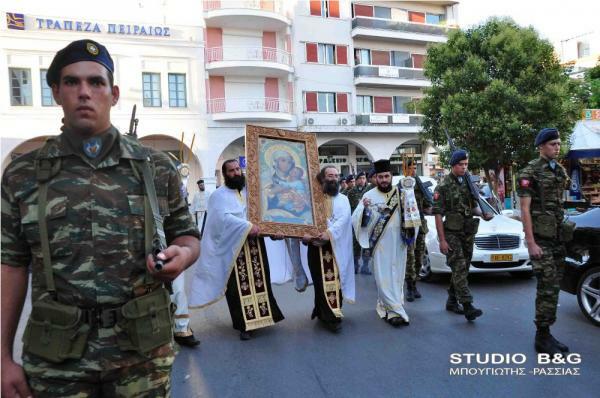 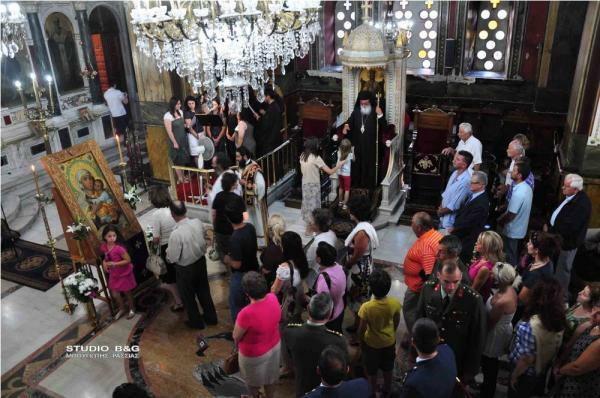 Every year in the evening of August 1st, to honor the first Paraklesis (Supplication) Service of the Dormition Fast, the people of Tripoli process the Sacred and Miraculous Icon of Panagia of Tripolitsa which is safe-guarded at the Metropolitan Church of Saint Basil. The icon itself was painted during the difficult years of the Greek Revolution in 1823. 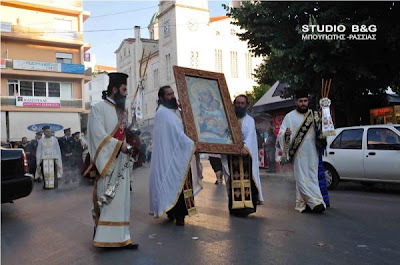 It began to be painted by Mihailos Komnenidos of Poros, but before he finished he died of some sickness. It was completed in 1826 by the iconographer George Athanasiades from Cydonia, Crete. 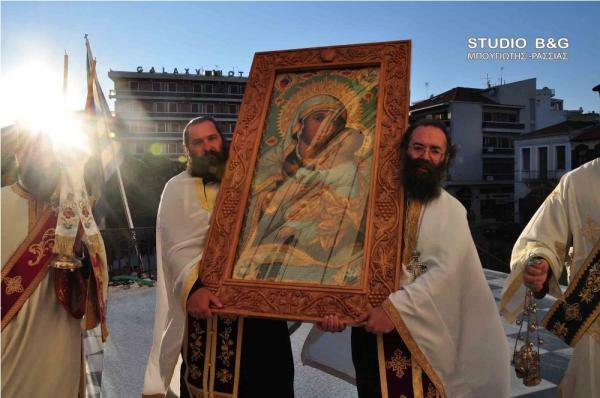 He gave the icon to Anastasios Gyzani of Poros who made the original order for it. 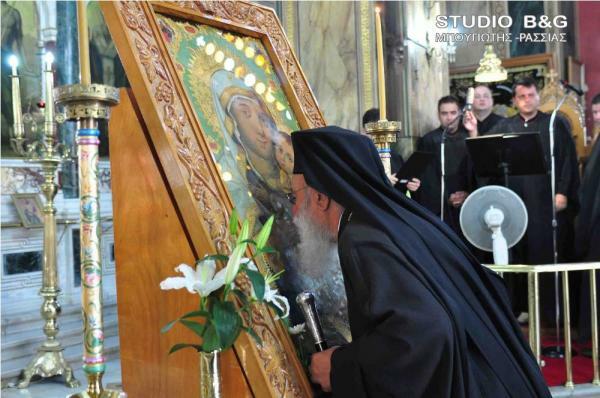 For many years the icon remained within this family, and it was eventually given to the Church of Saint Basil in Tripoli. 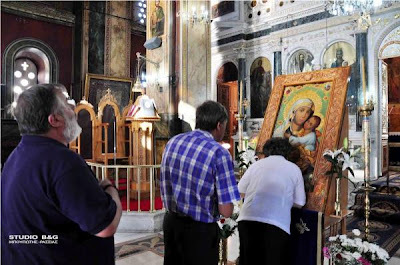 Over the years, this icon of Panagia of Tripolitsa became much-beloved by the locals. Twice it was saved from fire in a miraculous way, first when it was in possession of the Gyzani family and the second time when the Church of Saint Basil caught fire. 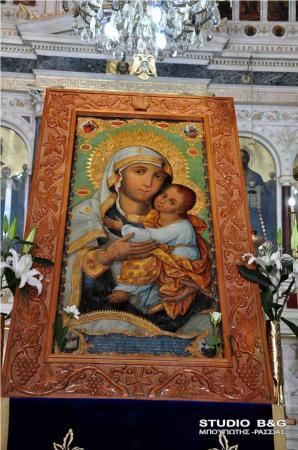 Today the icon is enthroned in a marble proskynitarion, which was donated by faithful parishioners. 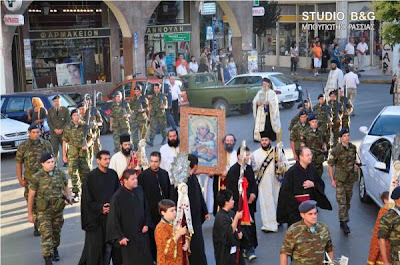 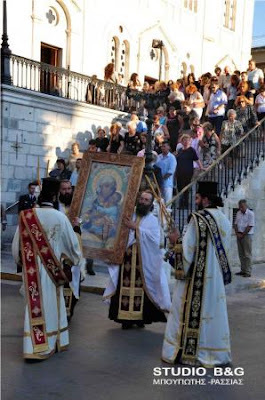 The procession with the icon is a major event for the city every year on August 1st.